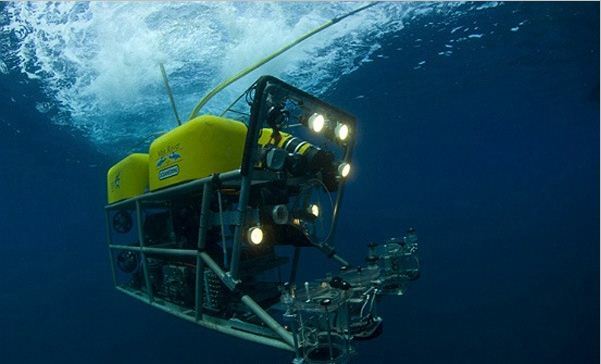 Deployment and installation of the detection units and sea-floor network components is one of the most challenging aspect of the project. 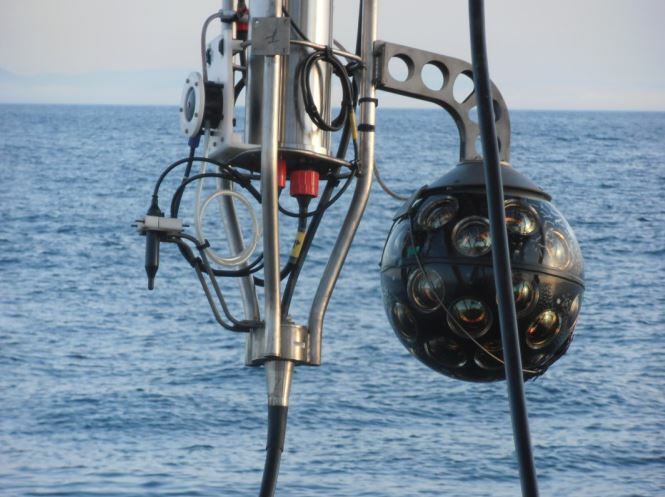 A dedicated tool – LOM for short – has been developed to deploy the detection units at depths of several kilometres. 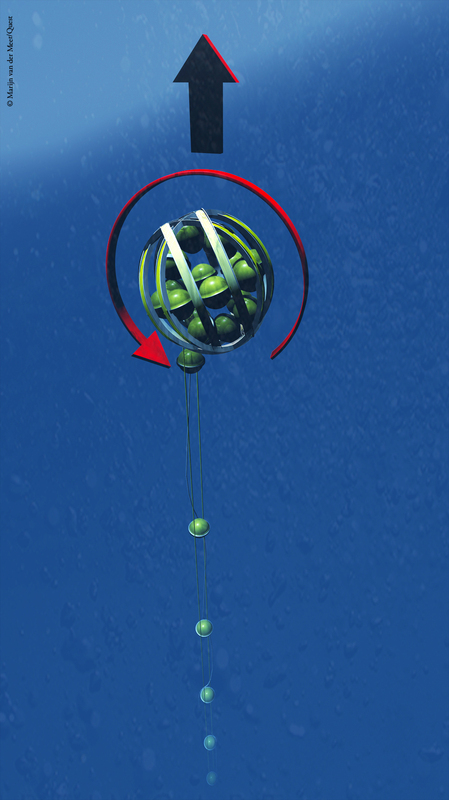 For deployment and storage, the string-like detection unit is coiled around a large, i.e. 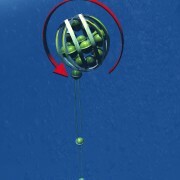 2 m diameter, spherical frame, the so-called launcher vehicle LOM for short, in which the sensor modules slot into dedicated cavities. 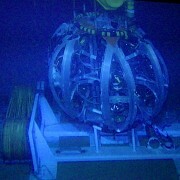 The anchor at the bottom of the detection unit is the interface with the seabed infrastructure. 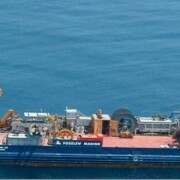 It is external to the launcher vehicle and is sufficiently heavy to keep the detection unit fixed on the seabed. The anchor houses an interlink cable equipped with a wet-mateable connector and the base container. 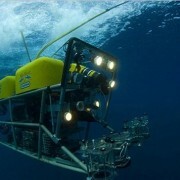 The base container incorporates an AC/DC power converter, dedicated optical components and an acoustic receiver used for positioning of the detector elements. 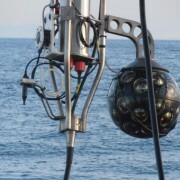 A surface vessel, with dynamic positioning capability, is used to deploy the LOM with the detection unit at its designated position on the seabed with an accuracy of 1 m. A remotely operated vehicle (ROV) is used to deploy and connect the interlink cables from the base of a string to the junction box or a previously deployed string in the daisy chain. Once the connection to the detection unit has been verified onshore, an acoustic signal from the boat triggers the unfurling of the unit. During this process, the launcher vehicle starts to rise to the surface while slowly rotating and releasing the sensor modules. 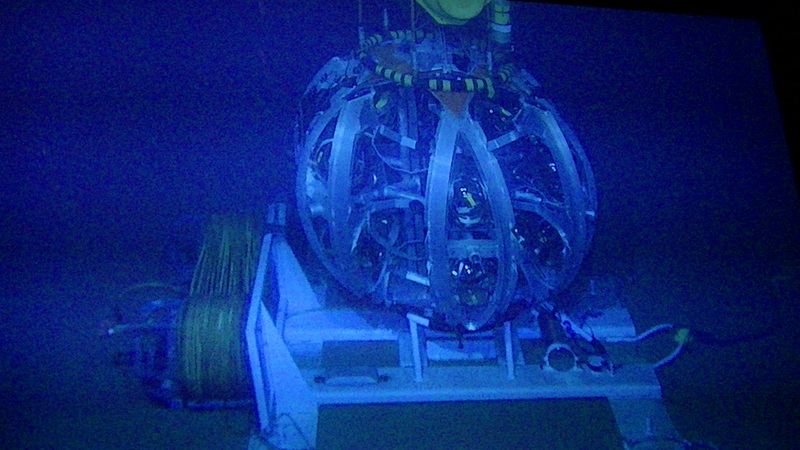 The empty launcher vehicle floats to the surface and is recovered by the surface vessel. The use of compact strings allows for transportation of many units onboard and thus multiple deployments during a single cruise. This method reduces costs and time for detector installation. You are referred to the Publications page for details.